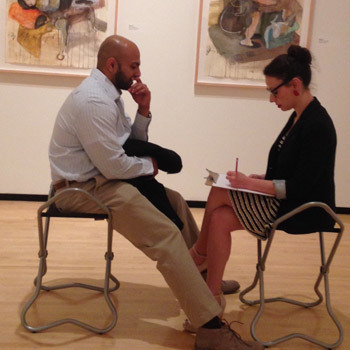 Contact Tours and Visitor Engagement Coordinator Katrina King at 540.204.4131 or kking@taubmanmuseum.org. No one wants to be cliché when it comes to proposing. Let the Taubman be the host of your shining moment and make your proposal one of a kind! A little class can go a long way, so choose one of our classic tours and make it a party of two. The grand finale includes you on one knee at the Top of the T, sealing the deal. Looking for a unique outing for you and your girls or wedding party as you plan your special day? Well, look no further! 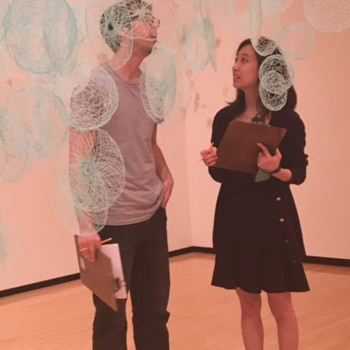 Treat yourself and your party to a private tour of the Taubman's galleries and give them an experience they'll never forget. When two people come together, so do their families! Help your families get to know each other and learn more about the happy couple while everyone is in town for your wedding or event. Couples are invited to visit the Taubman and pick out their favorite pieces on display, creating a unique and personalized tour for their family and guests! This is an exclusive tour for guests of the bride and groom. 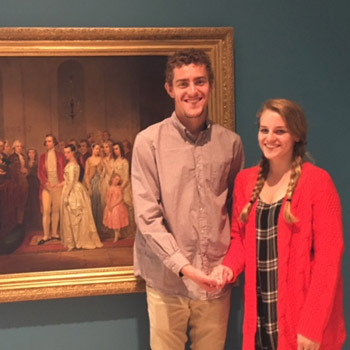 The couple will choose up to 5 favorite pieces (2 for each and a favorite exhibition/piece for both) and describe why they are their favorite. A guided tour will then be built around their chosen pieces and fun facts about the couple. 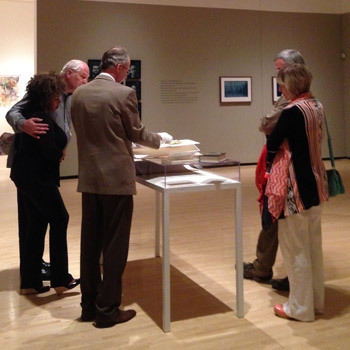 Celebrate the individual or couple by bringing guests on a specially crafted tour of the museum. The individual or couple may choose their favorite pieces or exhibitions and a personlized tour will be crafted. 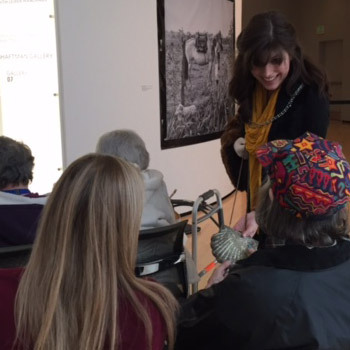 These tours are designed to offer docent-led discussions of our exhibitions and permanent collections for those affected by memory loss and their caretakers. 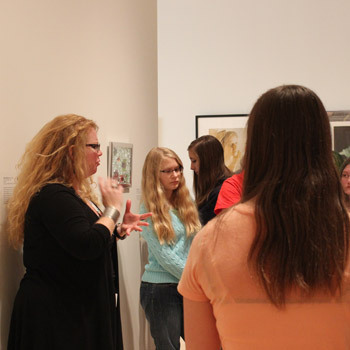 Each hour-long tour is designed to provide a welcoming space to talk about the artworks on view with a small group and create a related art project. An engaging and interactive tour that shows how the arts can hone communication skills, increase team building, and call on critical thinking skills. Come see for yourself why medical professionals and police officers alike choose to build confidence in their observation skills in an art museum.